Dimensions 0.86 by 5.55 by 8.17 in. 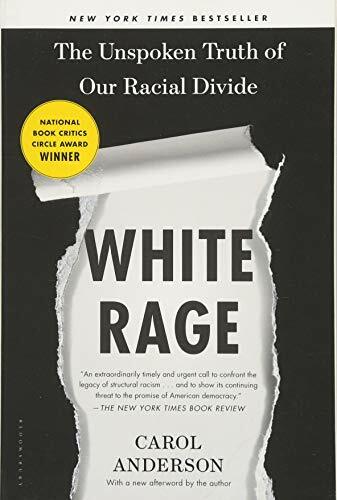 As Ferguson, Missouri, erupted in August 2014, and media commentators across the ideological spectrum referred to the angry response of African Americans as âblack rage,â historian Carol Anderson wrote a remarkable op-ed in The Washington Post suggesting that this was, instead, "white rage at work. With so much attention on the flames," she argued, "everyone had ignored the kindling."